Here is a fun one I got to quilt last week. And I’m so behind on posting that Kari already got it bound and finished! 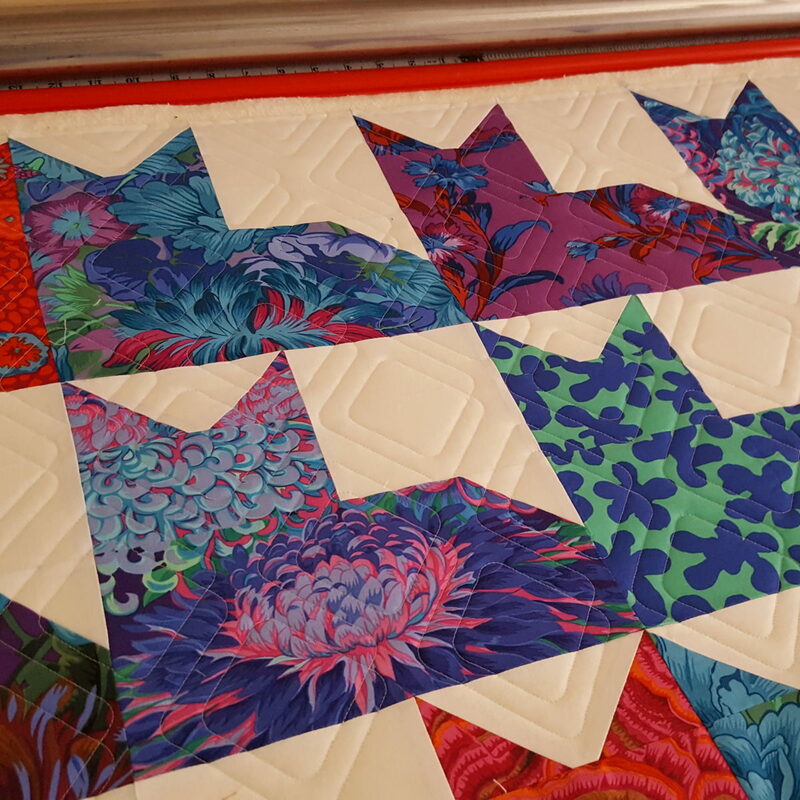 The quilting design is called Argyle by Julie Hirt. 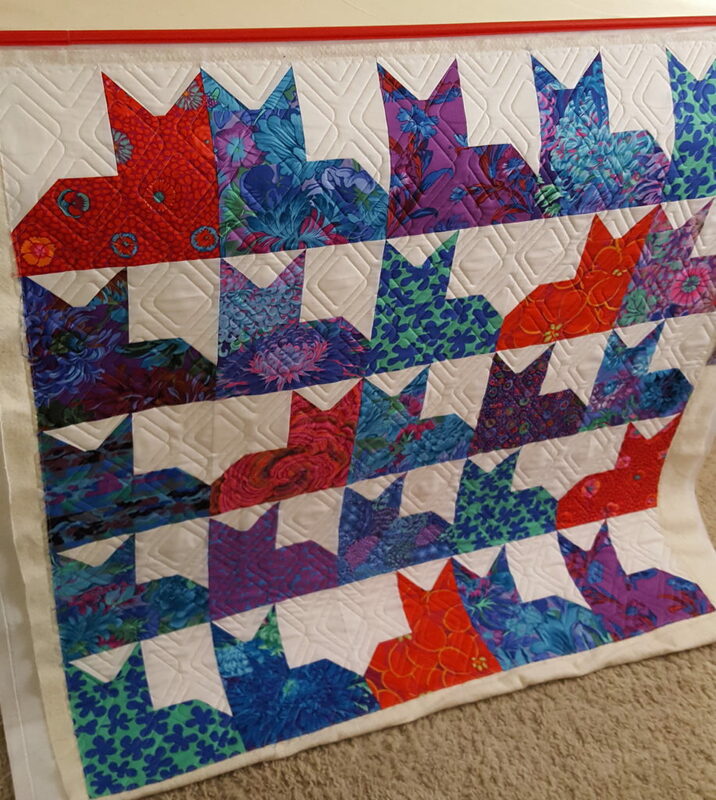 The quilt pattern is Pins and Paws by Missouri Star Quilt Company.